The first ice cream maker that automatically senses the hardness of the mixture based on your selection, and keeps it ready until its time to serve. The pre-cool function takes the ice cream maker down to -30C (-22F), which gives your ice cream a head start. There are 12 hardness settings, so you can choose from sorbet, frozen yogurt, gelato and ice cream. Either use our automatic programs, or set it to manual for ultimate control. Once the ice cream is finished, you can set to keep cool for up to 3 hours until you are ready to serve! 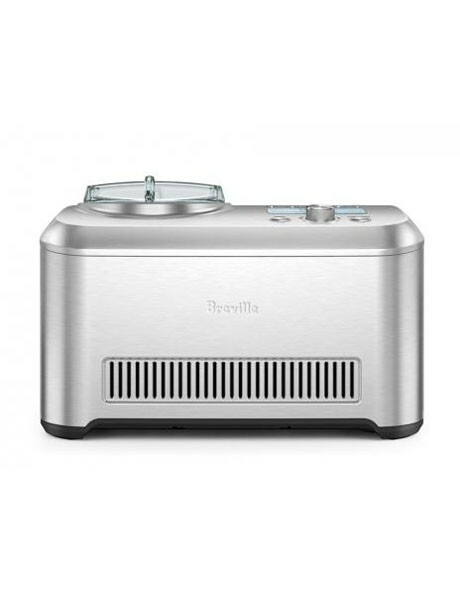 Durable and easy clean stainless steel housing, with BPA free internal parts.